It's comforting to know your storage facility has a partnership with a reliable moving truck rental company. Whether you need to find a truck to move your family from Minneapolis to Orono, or you decided to rent a trailer for a camping trip, we can point you in the right direction. Metro Self Storage has been providing secure, clean, and economical storage solutions to people just like you for more than 40 years. Wrap fragile items in bubble wrap and paper and place in sturdy moving boxes. Specially designed cardboard mirror boxes are suggested for artwork and mirrors. Load heavier boxes and items in the truck first, and houseplants onto the truck last so that they come off the truck first at your new home. Water plants right before moving day unless the temperature is below freezing. When you rent a truck, ask if it comes with a dolly. 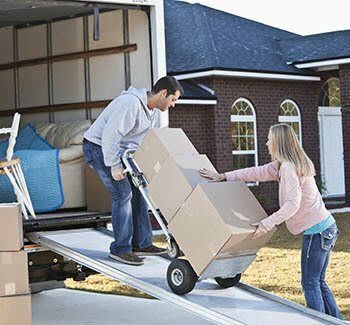 Hand trucks and dollies are practically indispensable whether you are moving into an apartment or a five-bedroom house. Even if you are only moving boxes, having a set of wheels can go a long way to help lighten the load. Check out the prices and availability of trucks and trailers for rent in Orono today.